How do you feel about going to the dentist? If you’re like most Americans, an upcoming dental appointment likely inspires a small bit of anxiety. For some, these nerves may be so great that they avoid dental care altogether. At our practice, Dr. Franzen and our team understand that visiting the dentist may be difficult for some patients, which is why we’re happy to help them enjoy truly relaxing appointments thanks to NuCalm. 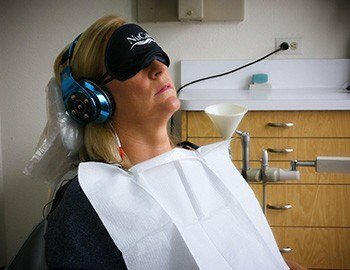 This neuroscience based, drug-free system has been shown to help dental nerves quickly melt away without leaving a patient feeling “out of it” for hours after an appointment. It works by having a patient first take a small supplement that is designed to counteract the adrenaline response, and then two small electrode pads are placed under the ears to provide what is called microcurrent stimulation. Gentle pulses will interrupt your brain’s natural stress response to help you stay calm. Soft music will be played through noise-cancelling headphones, and you’ll also wear an eye mask to block any visual stimuli. 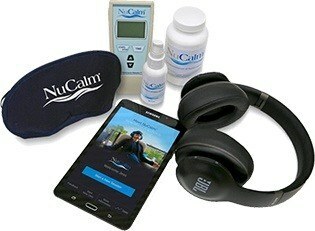 In the end, NuCalm helps a patient feel like they are laying on a cloud without a care in the world, and before they know it, their appointment is over. Does this sound like your kind of dental experience? To learn more about NuCalm and use it at your next dental visit, contact us today.